It’s practical. Watches today not only tell time, but they can tell you the day, date and time in other time zones, remind you of an appointment, wake you up and monitor your heartbeat. It’s fashionable. Watch styles reflect and define the times, from sports chronographs to ultra-thin dress styles. They’re an important accessory. It’s artistic. Some watches carry the grace and tradition of names recognized around the world as signifying the highest elegance in jewelry and timepieces. It’s a potential heirloom. Your watch can be an investment in beauty and value. Certain gold and diamond watches, over time, even increase in value. Witness the prices some prestige timepieces fetch at famous auction houses. And, it is a lovely remembrance of a loved one. It’s priced to fit your pocket. Whatever your price range, whatever your need, there’s a watch for you. If you enjoy changing your watch to fit your activity, fashionable less-expensive yet highly accurate watches are available in a variety of styles and price ranges. If you can afford the most extravagantly designed, precious metal watch encrusted with gemstones we can offer a variety to choose from. MECHANICALS are the traditional “wind-up” watches. They work because of a mainspring inside the watch which the wearer winds by turning the crown on the side of the watch. The spring gradually unwinds and turns tiny interlocking wheel which move the watch hands to measure seconds, minutes and hours. The AUTOMATIC or SELF-WINDING watches wind themselves as the wearer moves their wrist. The wearer’s arm actions cause a weight behind the movement to rotate, winding the mainspring. They can also be wound manually. QUARTZ watches are powered by batteries, rather than a mechanical spring. The batteries send electronic impulses through a small bar of synthetic quartz crystal which vibrates more than 32,000 times per second. Those vibrations are channeled through a series of gears that result in one impulse per second. The terms ANALOG and DIGITAL refer to the way time is displayed on the dial. Analog simply refers to a watch with traditional time-telling “hands.” Quartz analogs are watches in which the hands are moved by the electronic impulses passing from the battery through the quartz crystal to a step motor which moves the hands. Digital watches display the time with digits – numbers – instead of hands. The numerals are created by either light-emitting diodes (LED) or crystal displays (LCD). Quartz watches are generally more accurate than mechanical watches, for two reasons. 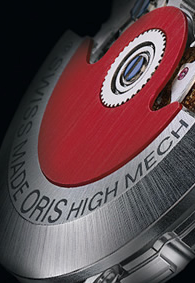 One, mechanical watches have many moving parts. That means more friction and less accuracy as the parts interact. Digitals have no moving parts. Two, the quartz crystals constant and amazingly frequent vibrations per second, enable watches to measure the second with unprecedented accuracy. A quartz watch should function property for years with a battery life of one to up to five years. CHRONOGRAPH watches measure small fractions of a second. Some are used to calculate speeds, distances and altitudes. There are specialized watches for astronauts, pilots, parachutists and skin divers – even timepieces that meet the special needs of blind persons. Also, most fine watches today are specially made to resist water, dust, wind, shock, and magnetic fields. Watch prices at Swiss Time range from around $30 to $10,000 USD. The most expensive watches are those made with precious metals such as gold or platinum and decorated with precious gemstones. They also require the labor of skilled craftspeople. 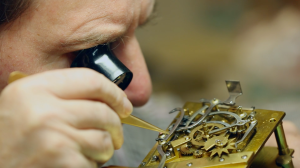 Some of the finest watches are handmade by master watchmakers who have spent a lifetime developing their craft. Selecting a watch, like selecting any piece of jewelry, should be based on personal taste. Today’s watches are not only timekeepers, but are considered important fashion accessories. Men and women make a definite fashion statement by the watch they choose – sporty, dressy, youthful, tailored, or sophisticated. People today are replacing their old-fashioned watch with a complete wardrobe of watches to suit their lifestyles. For sport or leisure, a person may want to wear a chronograph. For business use, a more tailored-looking watch with a leather strap and neutral color dial is sometimes desired. For evening and dress ear, the sky is the limit for decorative and elegant watches. Gold or platinum bracelets with or without precious gemstone accents – for men and women – provide an excellent way to show off your fashion flair. To achieve the expensive luxury look without the expense, watches of fold overlay are also available. Wind a mechanical watch in a clockwise direction, preferably about the same time each day. Take it off your wrist so as not to place undue pressure on the stem. Replace broken or scratched crystals immediately: even a hairline crack can let dust or moisture into the mechanism, threatening its accuracy. Unless the degree of water-resistance was clearly specified when you bought your watch, don’t risk wearing it in the pool, or on a moist wrist. Never wear your watch in the shower, as the hot water and soap will compromise the rubber gaskets used to seal your watch. No matter how handy you are, don’t attempt any “do-it-yourself” watch repairs. Only an expert watchmaker, such as those at Swiss Time, should be trusted to put your watch back into working condition if there is a problem. From the beginning of recorded history, it has been important for man to know the age-old question, “What time is it?” Although we know the sun rises and sets on a regular schedule, increments of time in between have come to dictate to us our daily lifestyles. Cavemen used a pointed stick and a circle of stones to make the first crude sundial. Generations followed with equally rudimentary devices which gradually became more intricate: knotted ropes, hour glasses, water clocks, notched candles, candle clocks and clock lamps. Finally, mechanical clocks driven by wheels and weights made their debut during the Middle Ages. These were made more accurate when Galileo discovered the pendulum principle. Locksmith Peter Henlein then invented the coiled mainspring around 1500 and used it in the first portable clocks. In 1571, Queen Elizabeth I was presented with the first known wristwatch: unfortunately, like most watches of that day, it kept atrocious time. Eighteenth and Nineteenth century craftsmen made the watch a work of art while improving its efficiency. Today, modern technology has brought the watch to a peak of accuracy and beauty, and has invented some totally new ways to make the passage of time.